What influence do pharmaceutical companies have on medical professionals and the health industry in the U.S.? 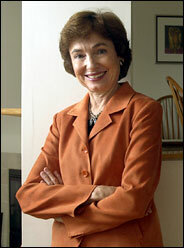 Dr. Marcia Angell in her book The Truth About the Drug Companies: How They Deceive Us and What to Do About It, published in 2004 by Random House. Dr. Angell is a Senior Lecturer in the Department of Global Health and Social Medicine, Division of Medical Ethics, at Harvard Medical School. In this important interview with Dr. Caldicott, she explains how drug companies propagate the myth that they are “educational institutions,” and explores the topics of medical ethics, health policy and the relationship between industry and academic medicine. This entry was posted on Monday, February 16th, 2009 at 12:00 am	and is filed under Uncategorized. You can follow any responses to this entry through the RSS 2.0 feed. Both comments and pings are currently closed.